Located in the heart of downtown Indianapolis just south of Monument Circle, Circle Centre Mall is a prime retail, dining and entertainment destination for conventioneers, tourists and the growing downtown residential population. This iconic shopping and dining destination features over 100 retailers including your favorites like H&M, Banana Republic, Finish Line, movie entertainment at the United Artist Theaters and thirteen sit-down restaurants offering some of the city's best date-night experiences. Having twelve hotels connected to the shopping center and the proximity to the city's arts and culture makes this Simon property a hub for Indianapolis traffic. 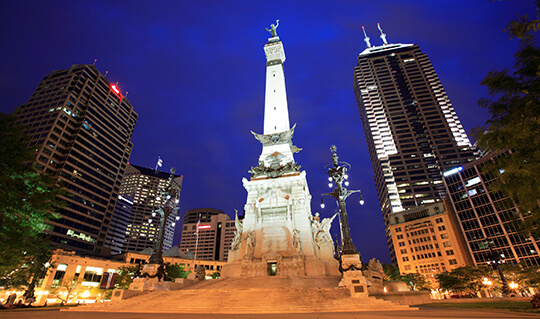 Whether you plan to shop at Circle Centre Mall during a weekend getaway or want to make a one-day trip to the Indianapolis area, there are plenty of attractions, dining options and accommodations that are sure to make your stay comfortable and fun. Enjoy an assortment of delectable dining options at one of the available restaurants or grab and go stations while shopping for an experience that is truly unlike any other. Take a trip with your family to visit the shopping center, or make this shopping center your next vacation destination. Either way, you'll love the shopping, dining and attractions readily available in the area. Circle Centre Mall is located in the heart of downtown Indianapolis, surrounded by city attractions that every guest needs to see! The mall is connected to the Indiana Convention Center and within walking distance to every major sports arena including Lucas Oil Stadium and Bankers Life Fieldhouse. Want to catch a concert instead? Head over to White River State Park, home to a summer concert series, or enjoy a walk through one of the many parks located downtown, including Military Park and Veterans Memorial Park. If you don't feel like walking, there are many other ways to travel around the city. Rent a bike from an Indiana Pacers Bikeshare station and take a biking adventure along the Indianapolis Cultural Trail or along the Canal. Take in the sights of the city and view some local art in the Indianapolis Artsgarden, connected to the shopping center, and located above the intersection of Illinois and Washington Streets. The options are endless with the Indianapolis Zoo, NCAA Hall of Champions, Eiteljorg Museum and Monument Circle, also a short walk away. With thirteen restaurants within walking distance, Circle Centre Mall has a great dining experience right in the heart of downtown. No matter what type of food your taste buds are craving, the mall is close to a restaurant that will satisfy them! Hungry for a juicy, grilled burger? Weber Grill and Champps should be your next stop. Have steak on your mind? Then try Ruth's Chris Steakhouse. Looking for something more upscale? 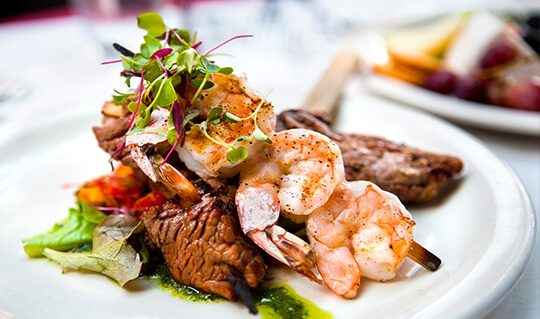 Harry and Izzy's and Palomino will dazzle you with their fine dining. Even if you're looking for something more exotic, this shopping center has you covered! Try some stir fry from P.F. Chang's for some Asian flare. Or stop by Nada to eat some delicious tacos and wash it down with a Nadarita! If you're the mood for some Italian, the fantastic pizzas at Primanti Bros. will fill you up. Beer-lovers can find a great selection of beers at most of the city's restaurants, especially Yard House and Granite City Brewery, both of which are known for their huge selection of craft beers. If you're in the mood to drink and have fun while doing it, then look no further than Punch Bowl Social, a place where not only can you eat and drink at a bar, you can also bowl, play arcade games, sing karaoke rooms and much more. Circle Centre Mall is located in downtown Indianapolis, providing an exciting night life for all ages. Whether you're looking to watch a Pacers game at Bankers Life Fieldhouse, or want to see a concert at Old National Centre, the mall is near the action. 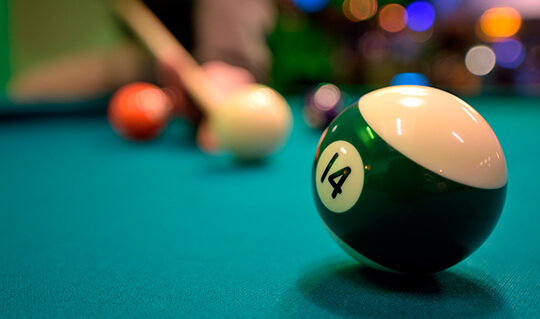 Grab some drinks at one of the many bars that are in close proximity to the mall, including Kilroy's, Howl at the Moon, Tin Roof and Circle Centre's own, Punch Bowl Social, complete with bowling lanes, arcade games and karaoke rooms. Indianapolis is also home to some great comedy spots. If you're into improvisational comedy, you have to check out Helium Comedy Club. So, whether you're looking to rock out, drink up or laugh out loud, there is something for everyone in downtown Indianapolis. Circle Centre is connected to 12 hotels via an assortment of skywalks. Some of these hotels include the Omni Severin Hotel, Embassy Suites, Hyatt Regency, Le Meridian, Courtyard Indianapolis, Fairfield Inn & Suites, Marriott, Westin Hotel, Springhill Suites and the JW Marriott, which is located on the western edge of downtown, next to White River State Park. Looking for luxury? Try staying at the distinguished Conrad Hotel. Want spectacular views? Book a room at the JW Marriott. If you're looking for a unique hotel experience, try staying in a Pullman train car at the Crowne Plaza Union Station Hotel. Walking from your hotel to Circle Centre Mall, the Convention Center or any other downtown destination is a breeze with the indoor skywalks that connect most of downtown. No matter the weather outside, you'll be able to travel around downtown feeling comfortable and dry. Plus you get to enjoy some great views of the city! 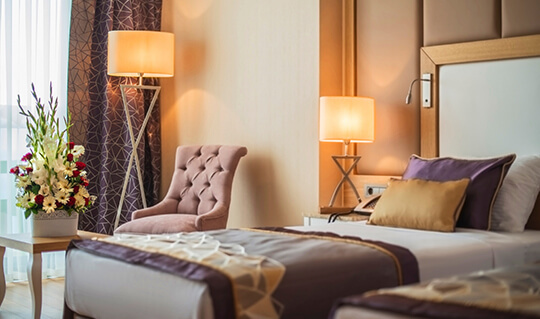 So whether it's luxury you're looking for at the Conrad, taking in the views of downtown at the JW Marriott, or staying in a Pullman train car at the Crowne Plaza Union Station, Circle Centre is close to all of the wonderful hotels that Indianapolis has to offer. From Indianapolis International Airport: Take I-70E to Exit 79B Illinois St, 15 miles. From Terre Haute: Take I-70E to Exit 79B Illinois St, 77 miles. From Louisville: Take I-65N to Exit 111 Washington St. From I-65N, 114 miles.